Not light but not unusually heavy, and Sora hubs, even the latest ones, have less offset than comparable Shimano 11-speed hubs. So I’m slightly surprised at your trouble! Oh well. The Open Elite (and the Open Pro you first said you were using) do have a lower tension limit than some rims. It’s still well over 100 kg, though. You still haven’t mentioned what hub you’re using. I for one am curious about that and your weight. What hub is it? Shimano ones have wide bracing angles but that tends to result in the left spokes having a low tension. More to the point, 8/9/10-speed hubs have better geometry than 11-speed ones. Unless you’re using an 11-speed cassette you’d be wise to seek out an older hub. 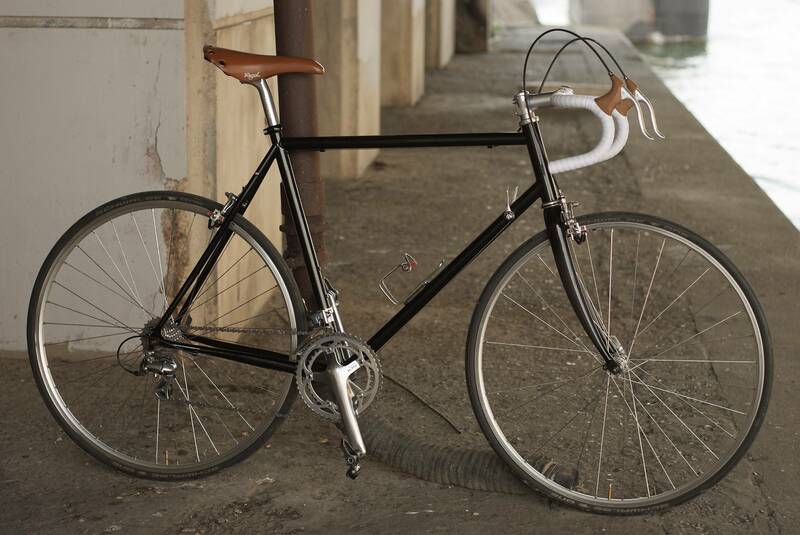 … from Retrogrouch Rules: Proper Bike Setup. 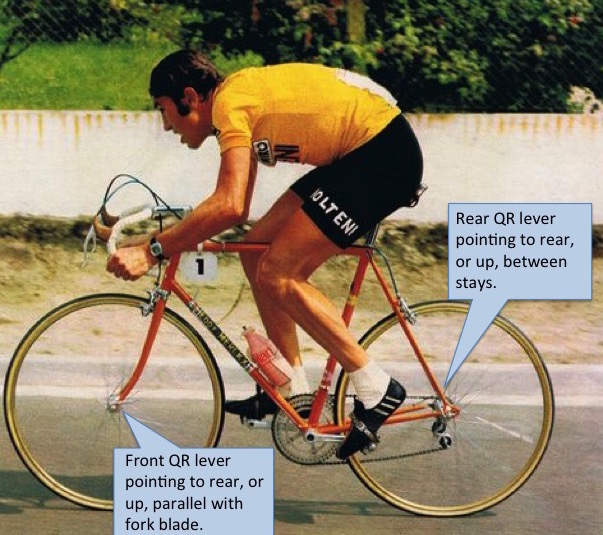 Jobst Brandt did the rear the same way but the front in front of the fork leg, like me. By the way, weight as photographed was 9.4 kg. Topic: Derailleur hanger, B-screw, chain tension...? Re: Derailleur hanger, B-screw, chain tension...?